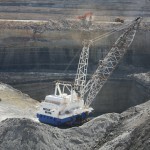 Hitachi has become the official Australian distributor of Wenco International Mining Systems. 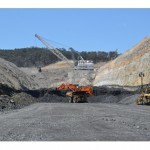 Wenco is currently operating in Australia at the Roy Hill iron ore mine and Whitehaven's Maules Creek coal mine. 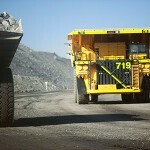 It is also working with Hitachi in the manufacturer's automated truck trials at the Meandu coal mine. Now Hitachi will become the official distributor of the system throughout Australia, New Caledonia, PNG, and New Zealand. It comes after Wenco's entry into the Australian market via the acquisition of Brisbane-based Automated Positioning Systems. The new distribution agreement includes operations, parts, and support, and brings Wenco's fleet management systems together with Hitachi's services and products. "This is an important and strategic step in HCA's market leadership by strengthening our total solution delivery and commitment to the mining sector," Hitachi said in a company statement. "This will underpin our future growth in the mining technology sector throughout the Pacific region," HCA managing director David Harvey said. "Our development team is also working at integrating existing in-field high precision guidance systems into the FMS product suit, providing options for future upgrades to a full fleet management systems," he added.